Come aboard the worldwide unique fleet of Sächsische Dampfschiffahrt. With a fleet of nine historic paddle steamers, between 81 and 131 years old, the Sächsische Dampfschiffahrt operates the largest and oldest fleet of historic paddle steamers in the world. This unique fleet is completed by two elegant salon ships and two small cruisers. Enjoy the unique nostalgic charm of the paddle steamers with the paddle wheels making a rushing noise and the steam engines huffing. 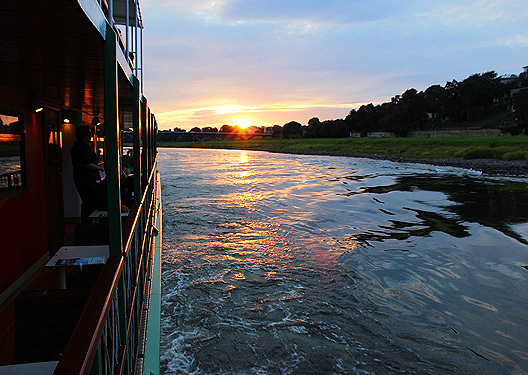 From Seusslitz near Meißen to the spa town of Bad Schandau in Saxon Switzerland, the traditional fleet passes not only through one of the most enchanting river landscapes in Europe but also through Dresden Elbe Valley. Explore Saxon Switzerland and the Saxon Wine Road during a trip with us. 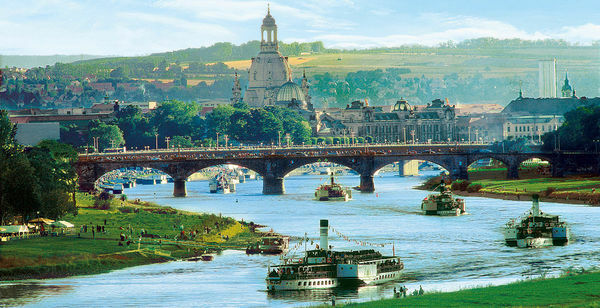 Or get to know the world-famous historical buildings of Dresden and its surroundings from a new perspective on a river sightseeing tour, a bridge boat tour or our special castle tour. On board our paddle steamers, a variety of regional specialties are served both in the salons and on the open decks. 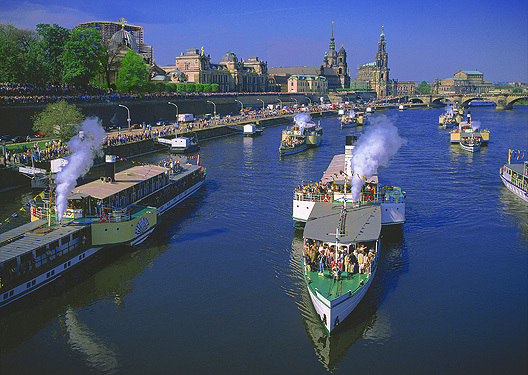 The Steamer Parade on May 1 and Dresden City Festival in August are annual highlights for all friends of the historic paddle steamers. 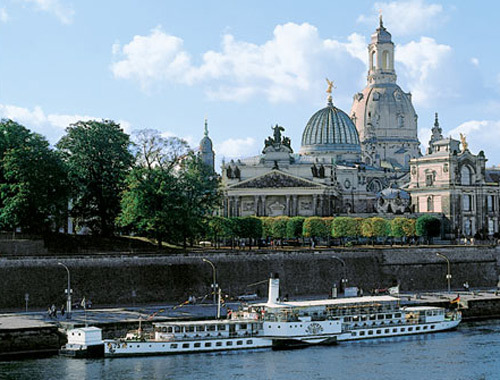 The entire fleet is presented between Dresden and Pillnitz, with live music on board ensuring an unforgettable experience.